These sticks are all alike, but can snap apart into six different combinations. Glue them together to make log cabins, doll furniture, baskets, letter holders, etc. These craft sticks, measuring approximately 4-1/2" long and 3/8" wide. Box of 1000. 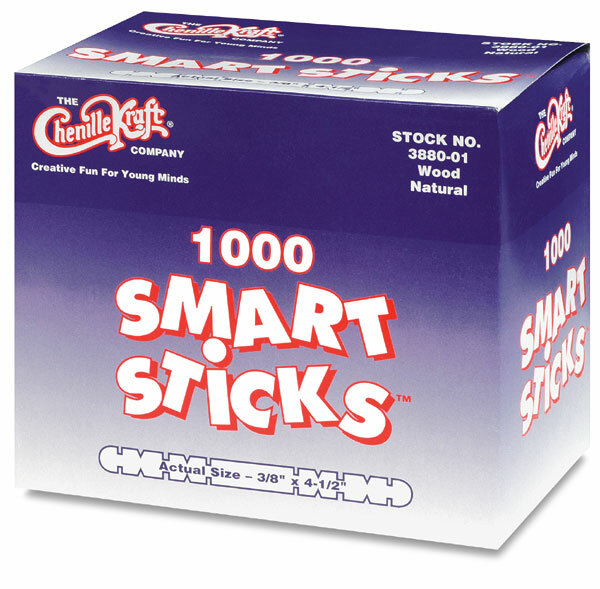 ™ Smart Sticks is a trademark of Chenille Kraft.